Celebrate Valentine's Day, anniversaries or "just because," by reminding that special someone how much they mean to you with a handmade romantic craft. It doesn't have to be elaborate -- just filled with love. Your gift is sure to bring a smile and a hug; the sight of the gift will always remind your sweetheart of you. A handmade craft says "I love you" and more. 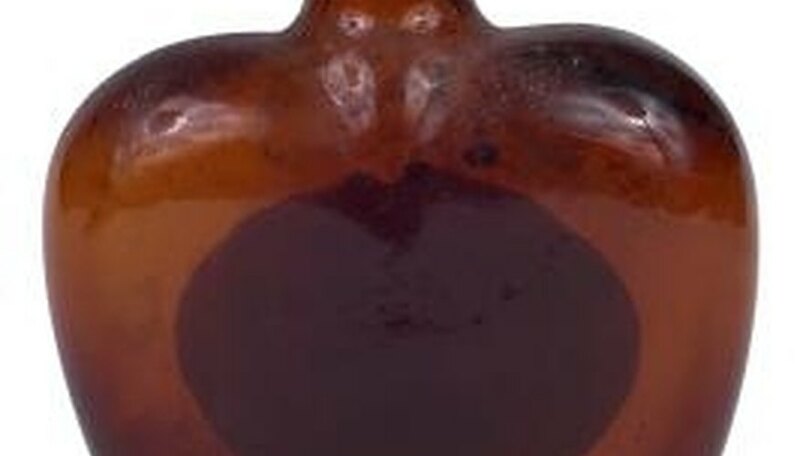 Buy a heart shaped glass bottle and dragon tears (crystal ovals) at a discount or hobby store. You'll need acrylic paint pens and a lid or cork that fits the glass bottle. On each dragon tear write a word that describes your fiance. Put the crystals into the bottle and cork it. Write a sentiment like "A million words can't describe how wonderful you are," or "You fill my heart with happiness" on the front of the bottle. 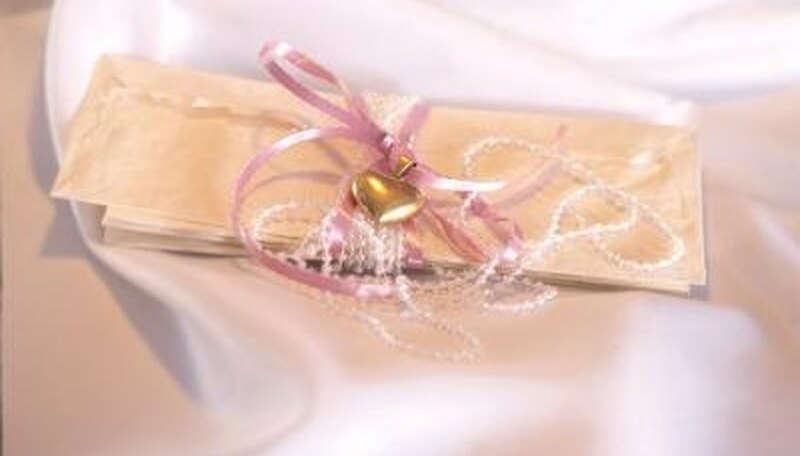 Embellish it with ribbon or bling and you have a truly romantic gift. Cut the petals off silk roses (use a few leaves, too, if you want variety). Dice up enough glycerine soap to cover the petals. Melt the glycerine in the microwave. Add three or four drops of rose oil fragrance bought at a craft store. 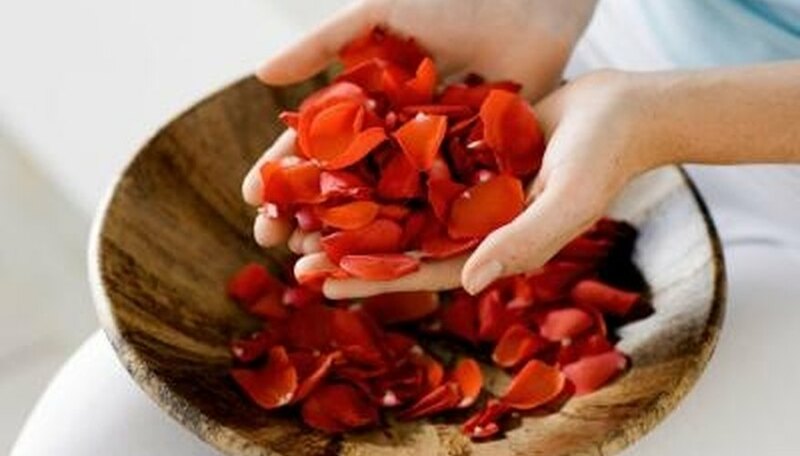 Drop the rose petals into the melted glycerine; be sure to cover all petals. Stir, then remove the coated petals with a slotted spoon and lay them on a cooling rack on top of waxed paper to dry. Repeat until you've coated all the petals. Once finished, put them in a decorative container. The soap rose petals make a beautiful gift. Here's a great romantic gift to give to a man. Gather together some lemon juice, plain stationery, a pointed twig and thoughts of love. Dip the twig in the lemon juice and write a love letter, then allow it to dry. Roll the letter up, tie it with lace or ribbon and put it in a wooden box. Put a fancy decorated lighter in the box, too, and a note that says "Hey hot stuff, heat it up. Hold the paper over the flame at a safe distance to read my love letter to you." The heat will make the words appear on the paper. 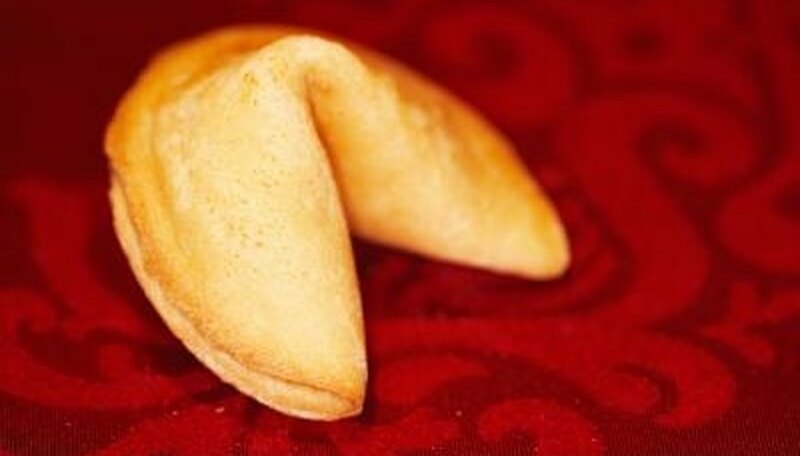 Make your sweetie a special fortune cookie with a downloadable template, a color printer and a special thought. This cut-and-fold paper craft allows you to write your own custom love note to put in a paper fortune cookie. It only takes one crease and six folds to assemble. Adobe Reader is required to download the template, which is available at the Romanticraft website. Larraine Stacey started her career as a reporter and editor in 1966, when she wrote daily columns, features and editorials for "Grand Prairie Daily News." A University of North Texas journalism major, Stacey writes for Let's Go Travel Guides and other websites. She is also the author of a bestselling young-adult fantasy series. Stacey, Larraine. "Romantic Crafts or Things to Make." Dating Tips - Match.com, https://datingtips.match.com/romantic-crafts-things-make-8073725.html. Accessed 24 April 2019.